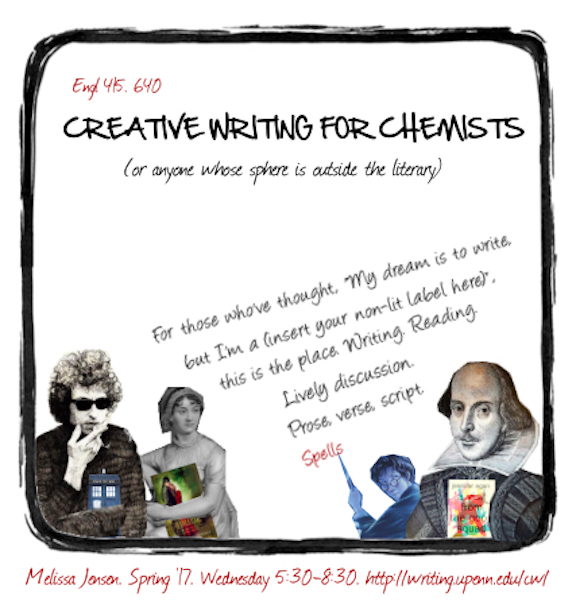 Maybe you've said this, even if not aloud: “My dream is to write, but I’m a <insert your non-literary label here>.” This workshop course is intended to bring out the creative writer in everyone, based around lots of reading and writing, some lively discussion, and livelier critique. The goal is to become coherent, compelling storytellers. Because everyone has a story to tell. We will read across genres, both fiction and creative non-fiction, prose and verse and script, exploring various approaches to how best to get the story told. Students will complete a series of writing assignments: honing their voice, creating believable story, characters, and language. We will discuss these pieces as a group in class. Even a research paper tells a story, after all. It’s just in the way it’s told.